Seagate Technology plc (NASDAQ:STX) , a world leader in storage solutions, today unveiled two new storage products for the home, Seagate(R) Personal Cloud and Seagate(R) Personal Cloud 2-Bay. Seagate Personal Cloud provides the accessibility of cloud storage with the peace of mind that content is stored safely at home. 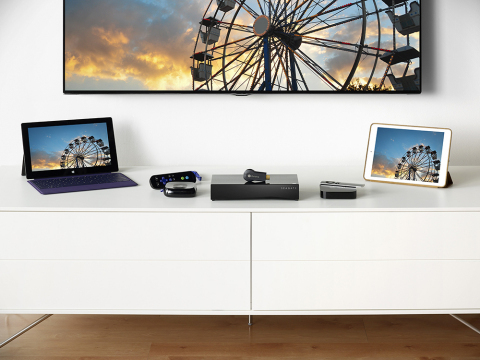 What differentiates these two Personal Cloud drives apart is how easily they can stream content to smartphones, set-top boxes, tablets, PCs or televisions via the Seagate Media application. Additionally, when used in conjunction with the acclaimed Seagate Mobile Backup app and Dashboard software, Seagate Personal Cloud also serves as a central backup device for PCs, Mac computers, USB drives, iOS and Android mobile devices. The Personal Cloud 2-bay device is for users that want more than one backup of their most important content in the unlikely event of a drive failure. The Personal Cloud 2-bay-designed with two internal drives-is configured out-of-the-box to automatically duplicate all content stored on one drive to a secondary drive for double protection and greater peace of mind. Alternatively, for users that are seeking maximum capacity, the Personal Cloud 2-bay product can be re-configured by the user into a single volume of storage. Seagate creates space for the human experience by innovating how data is stored, shared and used. Learn more at www.seagate.com. Follow Seagate on Twitter, Facebook, LinkedIn, Spiceworks, and Google+/- and subscribe to our blog. (c)2015 Seagate Technology LLC. All rights reserved. Seagate, Seagate Technology and the Seagate logo are trademarks or registered trademarks of Seagate Technology LLC or one of its affiliates in the United States and/or other countries. Other trademarks or registered trademarks are the property of their respective owners. When referring to drive capacity, one terabyte, or TB, equals one thousand billion bytes. Your computer’s operating system may use a different standard of measurement and report a lower capacity. In addition, some of the listed capacity is used for formatting and other functions and will not be available for data storage.